Hurry up! This condo has it all and wont last long! Corner unit, FIRST FLOOR MASTER SUIT with attached balcony overlooking wooded yard. HANDICAP ACCESS RAMP IF NEEDED! Huge WIC in master bathroom. The entry, powder room and kitchen boasts beautiful hardwood flooring. Convenient first floor laundry/utility room attached to spacious 2 car garage. Gorgeous eat in Kitchen with stainless steel appliances and granite countertops. Vaulted ceiling in Great Room, with beautiful windows, plantation shutters and gas fireplace. First floor library/office with serene views of the yard. Second floor loft space, providing an additional sitting/office or play area. Two additional spacious bedrooms upstairs, with one full bathroom. Huge basement waiting to be finished! 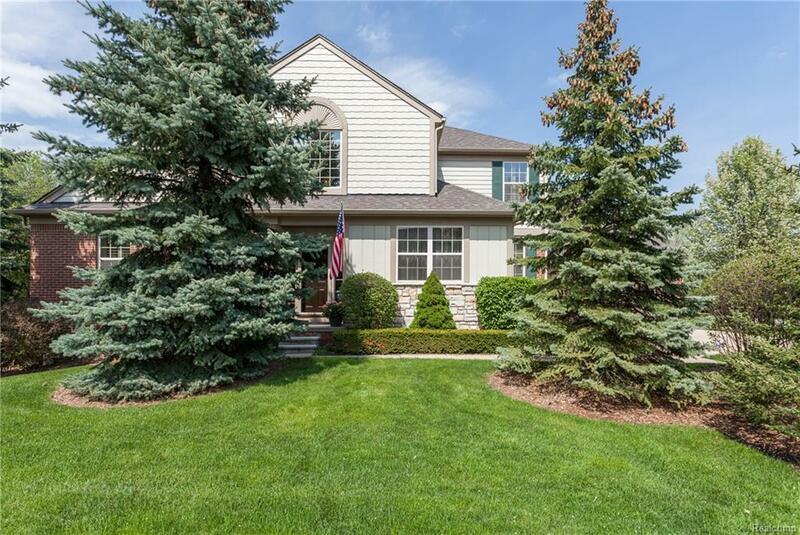 This gorgeous condo is conveniently located in Rochester Hills, close to downtown Rochester, Troy, Birmingham, and minutes from the expressway. BATVAI. Licensed agent to accompany all showings.